One thing that this film does with unquestionable precision is deliver really intense moments of suspense. Writer/Director Christopher Nolan does an impeccable job of communicating the sense of danger that the war created for the Allied soldiers. It felt as though there were rarely moments when the audience could really get a moment to breathe or be comfortable. One thing that I appreciated with this film was that Nolan did not rely on over sensationalizing the effects of war with gratuitous scenes. We didn't have to see soldiers with their limbs cut off and blood everywhere. The look of depression and helplessness was written on every soldier's face. On paper, Dunkirk gets the basics right from a technical standpoint. Nolan certainly put his camerawork to play with really engaging shots and angles that draw you deeper into the film in a visual sense. One of the best examples would probably be the scenes in the air fighter planes. So many times it felt as though I was flying the actual plane as the pilot. Besides that, the score by Hans Zimmer was perfectly done. The music intensified in the face of danger, or lightened up during times of relief. The sound design of the film was also really well done. Almost every time you hear a gun shot or explosion it sounds as if you're hearing the real thing and not just some sound dub. There were some touching moments in the film, but the ones that stand out the most may be Tom Hardy's scenes. I would say that while his role was not the biggest in the film, he certainly steals the movie. He's one of the few characters that audiences can connect with, and his scenes were some of the best highlights of the film. Christopher Nolan typically masters the art of time elapsing in his films, but that's not the case here. While you may eventually catch up with the various time overlaps in the story, they simply did not appear to be well done in my opinion. It seemed a bit confusing because at one moment we're in "Time B", but then we go back to visit "Time A", only to see how "Johnny" later syncs up with "Time C". (Did you catch all that?) Maybe Nolan outsmarted some people with how he handles the time elapsing, but in my opinion, it just came off as poor editing. As someone who's experienced foreign language films, I was surprised at how difficult it was to make out some of the dialogue. Some of the English accents were really thick, and it caused a bit of a distraction. Characters would convey important information in the movie but you may find yourself instead trying to decipher what they said in the first place. I think this film's focus also hurt the story too. It seemed as though the film couldn't make up its mind in terms of having us focus on the collection of characters or the historical war event itself. Because of that, it became rather difficult for me to emotionally connect with either aspect of the film. While we have a few characters that appear to be the focus, we don't really get enough from them to become emotionally invested. Sure, we may be happy that this or that person may survive, but it becomes quickly forgettable at the end of the film. 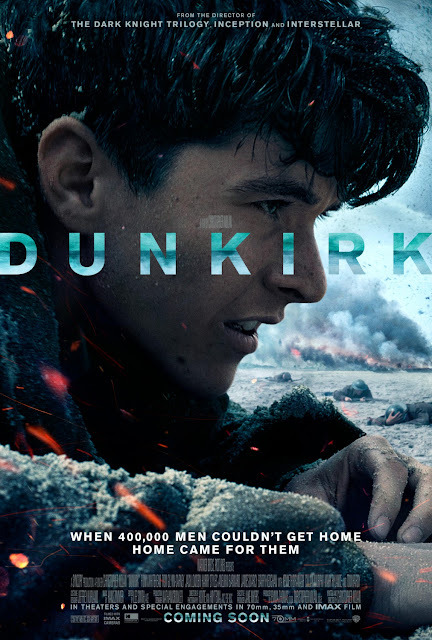 Furthermore, this movie was intended to focus on the rescue efforts at Dunkirk. According to the director, this movie is not a "war movie" but more so a "rescue movie". If that is the case, then the very rescue moments in the film are quickly overshadowed by so many other things in the movie. Tom Hardy's scenes quickly erase and overshadow the rescue moments. There's also so much more time devoted to the perils of war, and not the rescue itself, that the payoff just felt very underwhelming. First of all, make no mistake about it. I am a huge Nolan fan. So in no way shape or form should anyone take these criticisms as me being cynical. The reason I say this is because for some reason there are number of critics and outlets suggesting that this movie is practically flawless. While I have no problem with people really liking the movie, it does feel a bit disingenuous to me that some would fail to find at least some flaws in this movie. I think Dunkirk is worth checking out in theaters, but with some caveats. If you're a Nolan fan and a film purist, feel free to go see this and make up your own mind. If you're a casual movie fan who's expecting a "war movie", then I'd say lower your expectations and maybe make this more of a matinee outing instead. As a Nolan fan myself, I'm disappointed that this isn't Nolan's best work, but Nolan's worst is still good quality compared to others. I really appreciated the introduction of this movie starting off with a very quick and efficient recap of the past two movies. If you only vaguely remembered the previous Apes films, that recap gave you just enough information to get you all caught up. Probably one of the greatest strengths of this film are its characters and their development. 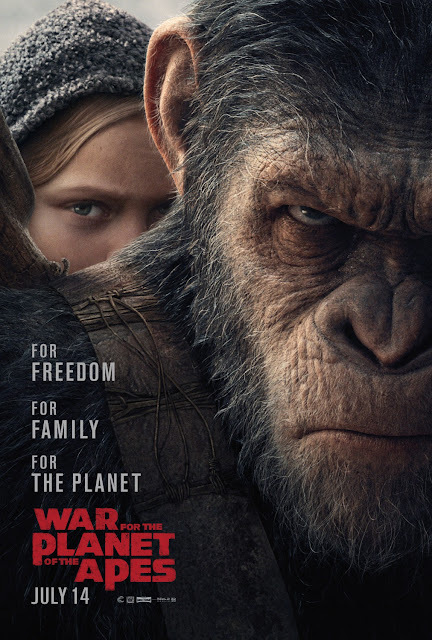 The most amazing thing about this movie is that you will become invested in almost every single character (ape or human). Even the deaths in this film will feel meaningful. Not only that, but the characters are not one-dimensional. There are very few characters that are bad just to be bad, for example. They're all complex and so are their motivations. I loved how the characters and the plot were not entirely predictable either. Certain characters will appear to be motivated to do something, but then end up doing the complete opposite of what you may expect. Their motivations really drive the story, and keep the characters from being stale or boring. Don't be surprised if you have a difficult time in trying to choose a side to root for or support. One character you'll have no problem supporting is "Bad Ape". He was most definitely the much needed comic relief in the film. I really appreciated how they didn't overdo his character by forcing him to be too funny. Director Matt Reeves should certainly be deserving of some praise for this film. (Dare I say he needs award consideration too!) I never paid a lot of attention to a movie's musical score until I heard a bad one in All Eyez On Me. (TuPac's death scene with the random gospel song.) That's when I realized how the musical selection can potentially captivate or detach you from the emotional impact of a scene. This film played just the right songs to match the intensity of battle, or drama of an emotional moment. Besides the score, there are some really great scenes that are captured through some excellent cinematography. While the majority of this film and characters are mainly CGI, Andy Serkis needs to be recognized here. He used facial capturing technology to play Caesar, and he delivered a spectacular performance with what I like to call "Facial acting". (Facial acting is when someone can perform and convey ideas with just their facial expressions.) Without even using many words, you knew and connected with almost every single one of Caesar's emotions and inner thoughts. I'd be disappointed if Serkis didn't get some award recognition during award season. As far as the story goes, it was probably one of the most dramatic and emotionally driven tales of all the Ape movies to date. It touched on so many themes that explored the impact of war, survival, oppression, and revolution. The length of this film, which is almost 2.5 hours long, is kind of tricky. There were a couple of slow moving parts in the film that probably could've been skipped. I think there are just a few large gaps between the intense-action scenes, which may make the film feel like it's dragging a little bit. I think part of the issue with the slow pacing has to do with the fact that this movie is not the action-packed, war film the trailer makes it out to be. War For the Planet of the Apes is like 80% drama and only 20% of actual fighting. (The last battle is certainly the best one.) Similar to Dawn of the Planet of the Apes (the 2nd Apes movie), there just wasn't as much action as the trailer may have portrayed. So expectations will have to temper down a bit if you were expecting a lot of fighting. Maybe this is nitpicking, but I could've sworn I noticed some apes hearing sign language. (Yes, you read that correctly.) For example, there's a scene where an ape is using sign language behind Caesar (and Caesar isn't looking at him), but yet Caesar acts like he knows what was said. This is probably easy to miss if you’re too busy reading the subtitles. Within the first 15 minutes of the movie, and many times throughout, we get a ton of reminders that this Sony/Marvel partnership is the real deal. There are a lot of intentional and purposeful connections made to let us know that Spider-Man is definitely connected with the Avengers in more ways than one. There are a number of references to both the Avengers movies and to Civil War for you comic movie history buffs. Since this was a Marvel production (as part of their deal with Sony) there's plenty of "Marvel fun" from beginning to end. There are a number of funny moments that certainly helps to keep the movie light-hearted and entertaining. A lot of the comedy comes from the supporting cast. Jacob Batalon (who plays Ned) has a lot a humorous scenes as he plays Peter Parker's best friend. Jon Favreau ("Happy") and also Zendaya ("Michelle") also have a few quick funny one off scenes as well. For the few scenes he was in, Hannibal Buress was comical too. While the internet was making it a big deal, I actually liked what the film did with Marisa Tomei's version of "Aunt May". The movie didn't oversell her character to be the hot cougar everyone may have thought her to be. Once you see her caring and nurturing side with Peter, all those other ideas about her kind of go out the window. Unlike some of the other past Spider-Man movies, I thought this one did a really good job in setting up potential side characters for future films. None of it felt rushed, and the characters (even if minor) feel like they have organic origins now. Speaking of which, there are many obvious Easter eggs throughout this movie. If you're a Spider-Man fan (of the comics or cartoon), you'll probably pick up at least 85% of the hints that are left. Certain characters are obvious clues to other characters' existence and so on. As for Spider-Man himself, Tom Holland did a great job portraying the wall crawler. The concerns of Peter Parker being too young should be quelled. His youth actually serves a great purpose in showing his inexperience at being a superhero. That leaves a lot of room for us (the audience) to grow and relate to him. The film does an excellent job of putting Spidey in situations where he shows not only his inexperience, but his maturity as well over time. I was really happy to see him in situations where he couldn't rely on his web shooters, for example. I also really appreciated the fact that they showcased his intellect as a tech genius. Contrary to the trailers, I'm also happy to let you know that Tony Stark/Iron Man does not over take this movie at all. He's probably in this movie for about 10-15%. This is totally a Spider-Man/Peter Parker story. As for the villain, Michael Keaton was at his best in my opinion. I personally don't think that he suffered from the "MCU Villain problem" at all. While they didn't use the traditional Vulture from the comics, they gave him a much more grounded and realistic approach. I thought that he posed an excellent challenge to Spider-Man and that's really all you can ask for from any villain. I'm going to start off with my biggest grievance just to get this off of my chest. I am really disappointed and almost frustrated with the way this film handled Spider-Man's powers. More specifically, they made his "Spidey Sense" practically non-existent. In my opinion, that's almost like de-powering Superman's strength or making him jump rather than fly. I just think that Spider-Man's Spidey sense is an attribute that makes him really special and unique. Unfortunately in this film, they've reduced him to simply having really quick reflexes. While many of the supporting characters and scenes in this movie were indeed funny, I think we could've done without a lot of them. The movie's run time is about 2hrs 15mins, and it really felt like some of the funny scenes were just added fluff. For instance, if some of the scenes with Ned or "Happy" were removed, I don't think that the movie would've suffered at all. As a matter of fact, a lot of their scenes would've probably been better served as additional features on the Blu-Ray DVD instead. Last issue is that I really am not a fan of how careless this movie deals with Spider-Man's secret identity. While the writing does make sense in terms of how they handled it, I simply don't believe it was necessary to have certain individual(s) discover it. (You'll know what I mean when you see it.) The reveal does help add some level of intensity to the film, but I just think that they could've had the same effect without letting the cat out of the bag the way they did. Spider-Man Homecoming certainly has breathed new life into the Spider-Man movie franchise. Where does it compare you ask? Well I'd say that it's the 2nd best Spider-Man film to date. That's right. Spider-Man 2, still holds the lead in terms of being the best Spider-Man movie. The film will probably be offered in some enhanced viewing formats like 3D and Dolby Atmos. 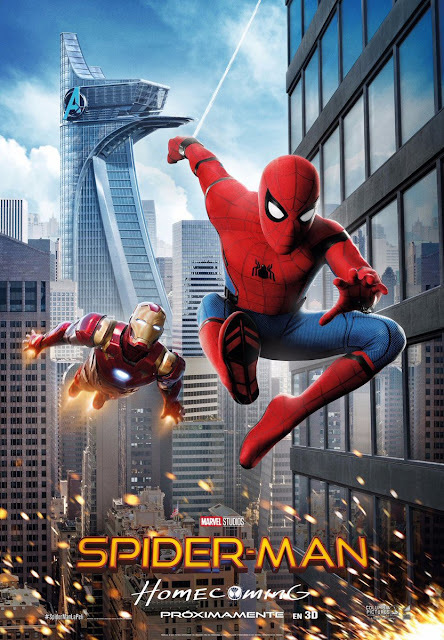 I got to see it in Dolby Atmos, and while the sound technology is amazing, I just don't think that Spider-Man Homecoming is the right movie to see in that format. Nor is the movie necessary to see in 3D. I mean you can obviously choose to view it that way, but there just didn't seem to be anything memorable that the 3D or Dolby will leave you with. So you can save a little money there. I left the theater liking Spider-Man Homecoming a lot, but not necessarily being Wow'd by it either. This felt more like the Disney XD version of Spider-Man. (Take that however you wish) The movie is really fun and entertaining, but it does have room for improvement. Either way, Spider-Man Homecoming is a definitely worth the watch in theaters. Be sure to stay until the very end. There are TWO end credit scenes.